Sorry for the second update in two weeks but we've been working incredibly hard! We now have the first 20 lessons finished. Since the last post we have now a further 9 skills available with meanings for tiles, including meanings for compounds particles in that lesson. 谢谢! This is amazing, thank you so much for this! Bug report: the current version (0.991.2) is causing the notes to disappear in all skills for me - not just Chinese, but in other languages too! They reappear when the extension is disabled. Also the characters that don't have a translation yet are still resized/repositioned, which looks a little weird. Thank you, thank you, thank you! This is exactly what I was missing in the Chinese lessons. Thank you! But I do not understand, why these features cannot be built into the site itself? Beta for Chrome extension for showing meanings of characters in Chinese course is now ready to try! Problem: Characters with two pronunciations/meanings pronounced and written (in pinyin) differently. 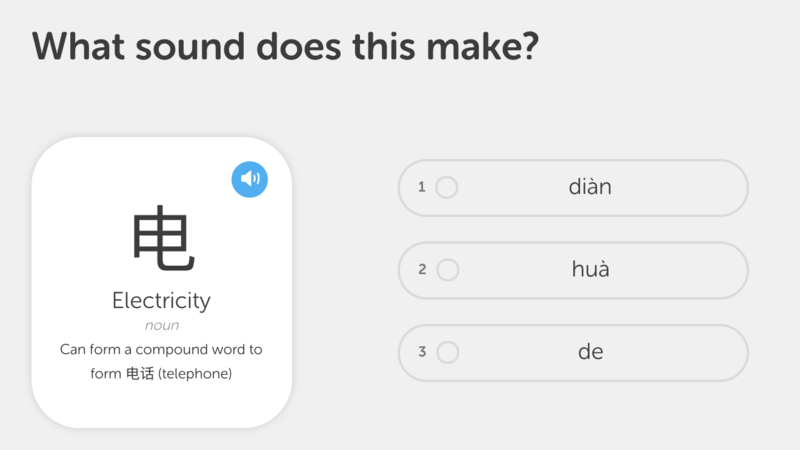 Duolingo Chinese course quality - update?